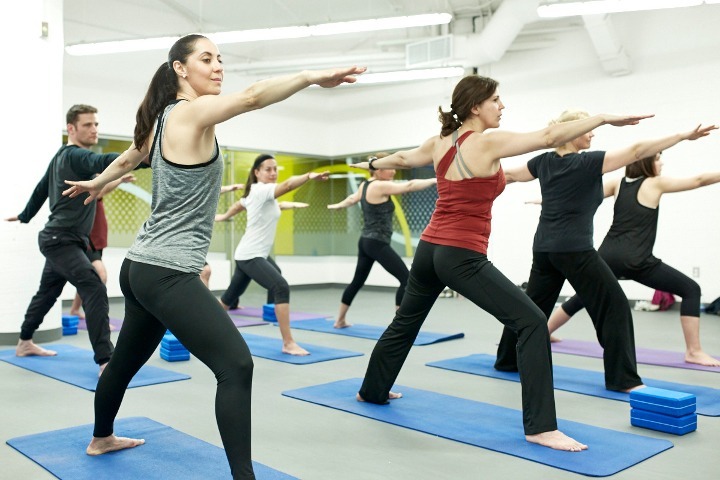 When you subscribe to Physical Fitness or Physical Fitness Plus membership, the Sports centre offers a variety of classes offered by certified instructors. 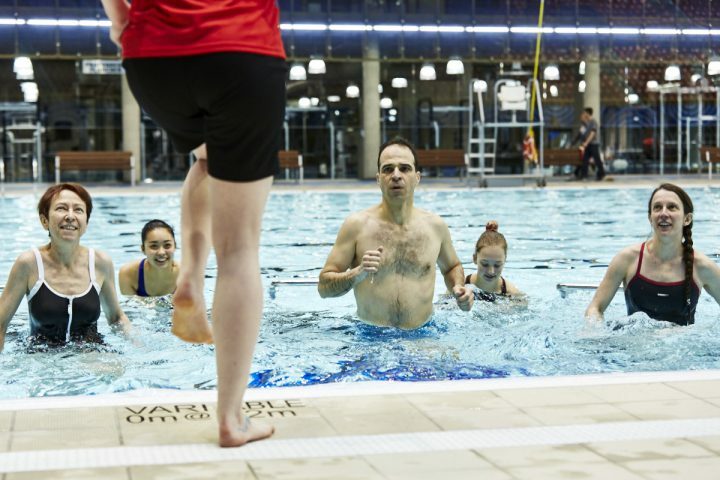 Aquafit is a physical activity that lets you get in shape—in the water! Exercising in the shallow part of the pool helps to develop your cardio power as well as muscle tone and flexibility. Aquafit done in the deep end of the pool, where participants wear a special floatation device. Exercise done to music. A cardiovascular workout with minimal impact on joints. Focus on the lower body. 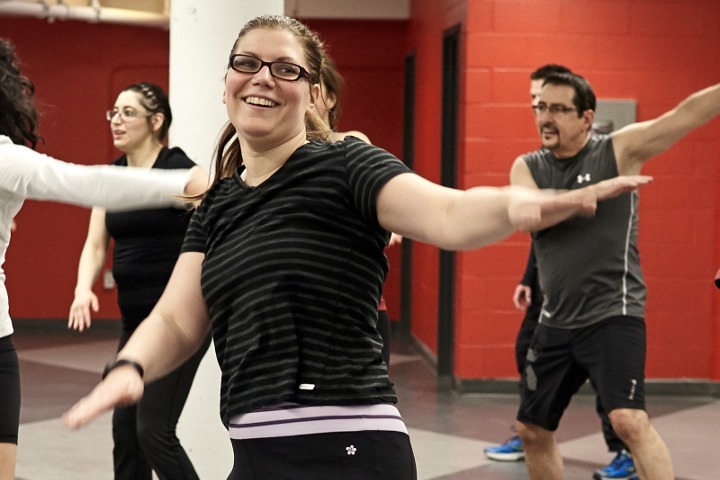 This physical activity gets you in shape through circuit training that brings together Boot Camp and Crossfit-centred exercises. Focus on building muscle and cardio endurance. High-intensity training that’s performed in circuits and intervals. 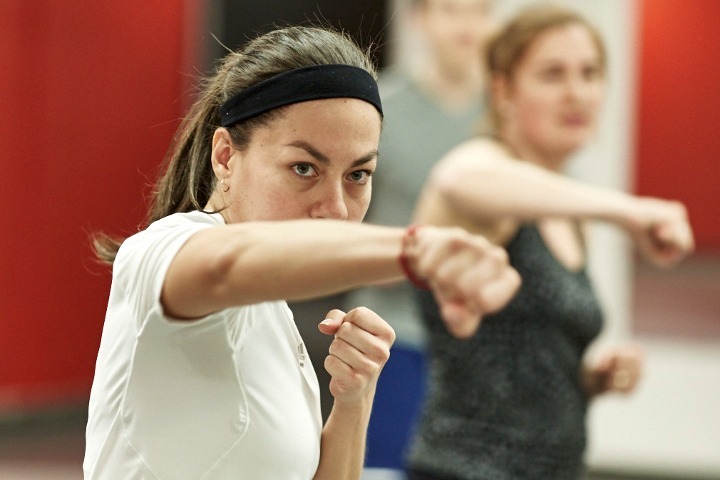 A 30-minute class that intensely develops cardio and muscle performance. 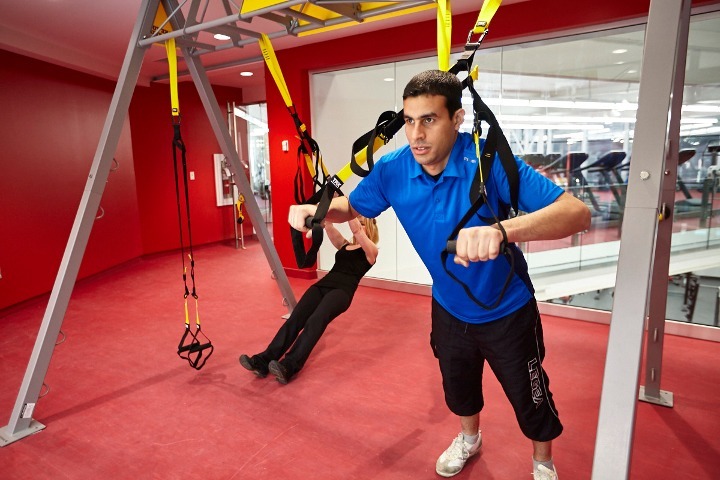 A training system that uses suspended straps to work out entire muscle groups. Small classes of no more than 6 people. 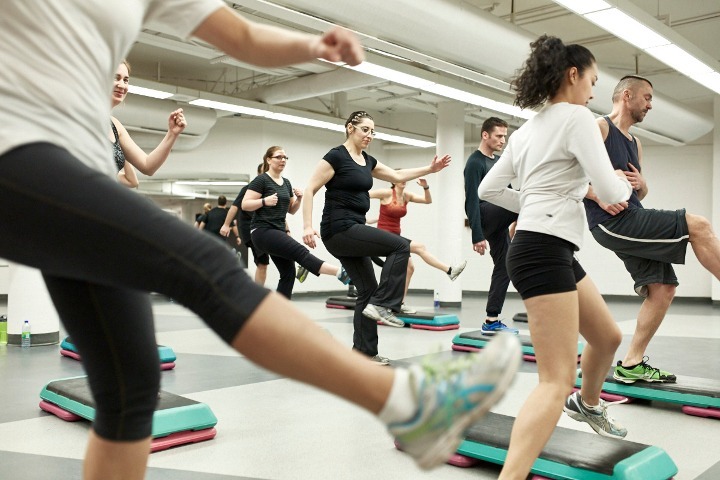 Exercise designed to improve endurance and muscle tone, done to music. Does not require a lot of coordination. 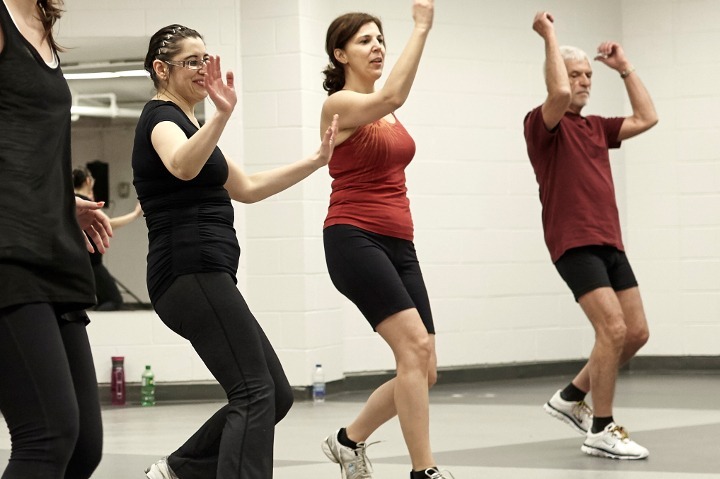 Physical activity that gets you in shape to the sound of Latin rhythms. 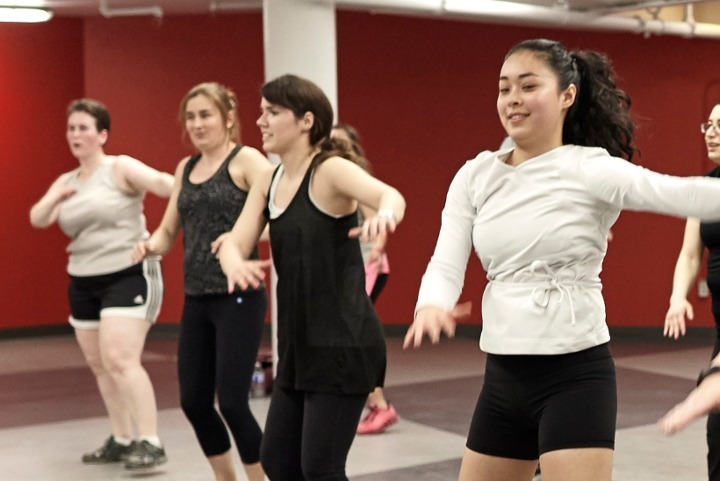 Improve endurance and muscle tone with circuit training done to a Latin rhythms. 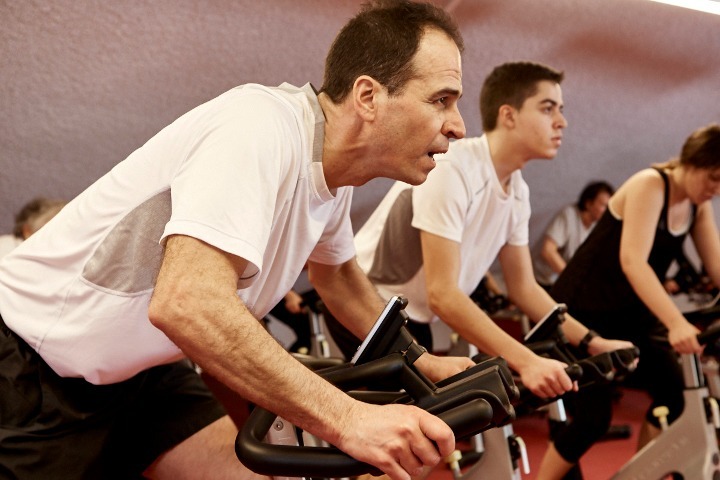 Group classes on stationary bikes. Helps improve cardio power and muscle endurance while burning calories. 45 minutes. 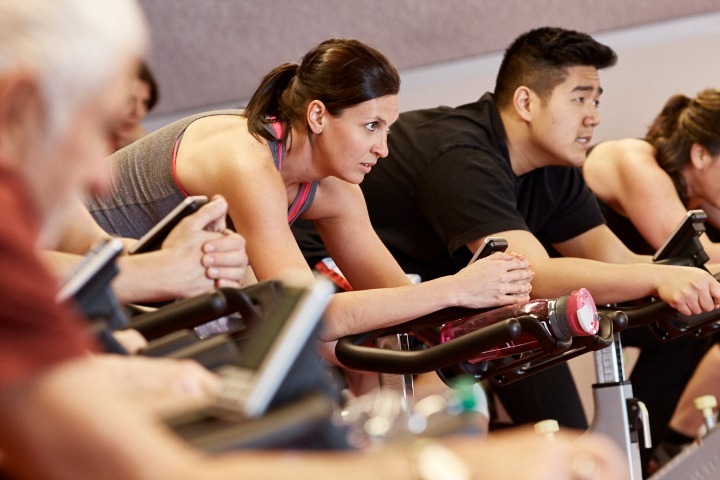 Group classes on stationary bikes. 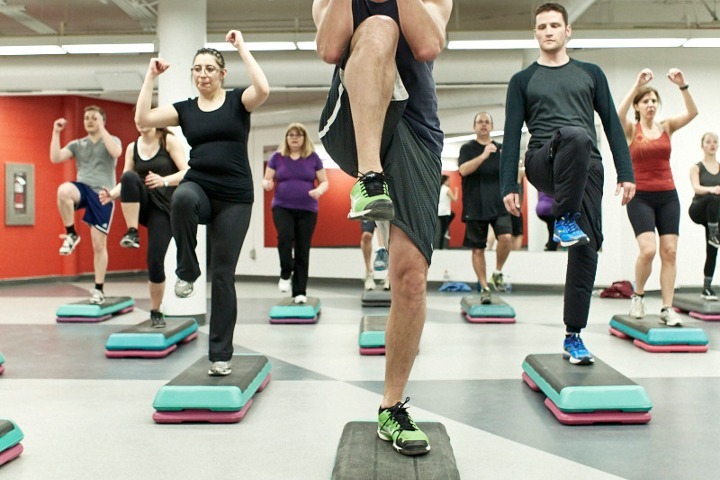 Helps improve cardio power and muscle endurance while burning calories. Yoga makes your body stronger and increases your flexibility. 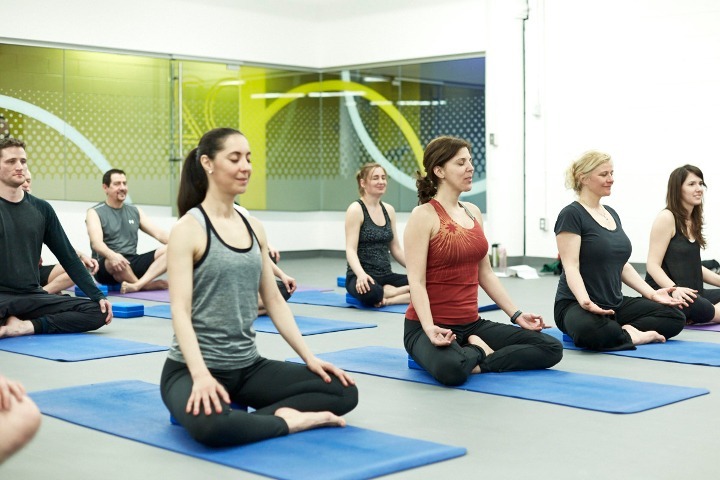 Instructors will teach basic poses to help you increase mental concentration, muscle tone and flexibility as well as how to breath better. Ashtanga Yoga synchronizes movement with breathing. This is an active Yoga style aimed at those who like to move and are looking for a more complete workout. Therapeutic yoga that focuses on meditation, relaxation and long stretching to help improve flexibility and increase the health of joints, organs and bones.